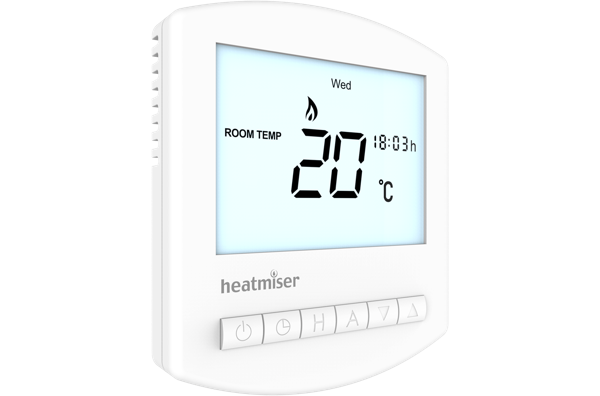 The Heatmiser Slimline HW-N is a low voltage 5/2 / 7 day programmable thermostat with an additional 5/2 / 7day program for a domestic hot water cylinder. Reduced costs and wiring means the Slimline HW-N really is an all-in-one solution. Self-Learning Preheat The Slimline Series offer optimum start, a feature were the thermostat calculates the amount of heat up time required. Network Facility The N models offer a wired RS485 network connection and can be connected to our UH1 and Central TouchPad. In addition, third party integrators have integrated the N models into home automation systems, including Control4 and Crestron. Flexible Programming The Slimline Models can be set to work in Non Programmable, 5/2 Day or 7 Day Programming ensuring that you can select the right programming choice for your requirement.